It’s hard not to jump head first into cutting all sorts of crazy things on your CNC machine. Trust me – I fight the urge almost everyday. 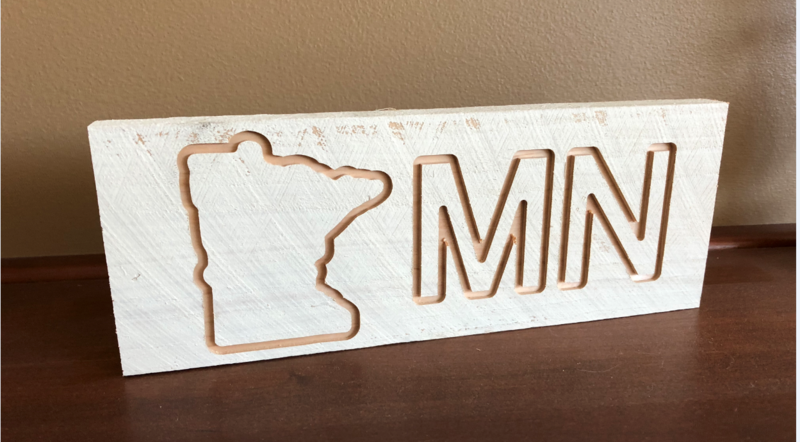 In this post/video, I wanted to tackle a simple project that highlighted how easy it was to use the Shapeoko and the Carbide 3d software. This project is ideal if you’re just starting out for a number of reasons. First, you’re not cutting all the way through the stock so you don’t need to worry about tabs or finding a way to keep the stock secure once cut. Second, I used scrap wood that I had sitting around so if I messed it up it wouldn’t have been the end of the world (and it turned out sort of cool! ).